IRS is a fully licensed and bonded collection agency in BC. We have specialized commercial debt collectors with years of commercial debt collection experience in BC. IRS offers professional debt recovery at competitive contingency rates for collecting commercial debt. Since 1997 IRS has delivered superior, bankable results in commercial debt collection. Commercial debt collection in BC is subject to many restrictive collection laws and regulations. The BC provincial legal system in BC is different from other Canadian provinces when it comes to collecting commercial debt. Our experienced commercial collectors know the legal landscape in BC. They know what levers to use to motivate payment, while protecting your reputation. Results, instead of complaints, is one major reason companies prefer IRS for their commercial debt collection. IRS takes a different approach to large balance commercial debt collection. When payment in full is simply unrealistic we always probe for ways to securitize your debt. We do not blindly accept payment arrangements when the debtor has assets that can be attached. Attachable assets can include land, vehicles, equipment, receivables, etc. Securitizing commercial debt ensures the debtor will pay as agreed. If they fail to make their payments as agreed then they lose the asset. In most cases, the value of the secured asset is far more than the actual debt. When you place a large balance commercial collection with IRS you will be amazed how your debt is being collected. Our commercial debt collectors call and correspond directly with our Clients on large balance collections. We also offer 24/7 online access to your accounts. You can see collector notes in real time and know what is really happening. Being informed is standard procedure at IRS when we are collecting your commercial debt. With many of our commercial Clients we are an extension of their credit department. There are always numerous signs when an overdue customer is going out of business. Unlike an individual, a company can die real fast. As the business is dying, equipment, receivables, vehicles and other assets are being liquidated. Timing is everything in commercial debt collection. 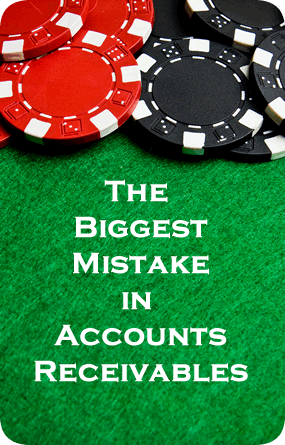 One of the biggest mistakes a company can make is to hold on to a commercial account for too long. We feel heart broken when a commercial collection is listed that we automatically know is uncollectable. In a majority of cases we could have easily collected the debt had we received the account a couple of months earlier for collection. 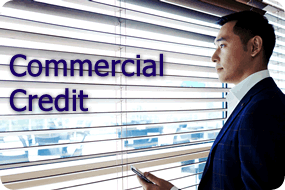 Need a Commercial Debt Collected? Then you should seriously consider IRS. We have offices on Vancouver Island and in the Vancouver lower mainland. We are experts in commercial debt collection. Give us a call and we can quote you on any of the collection services you may need. We also offer a free consultation on commercial debt collection.